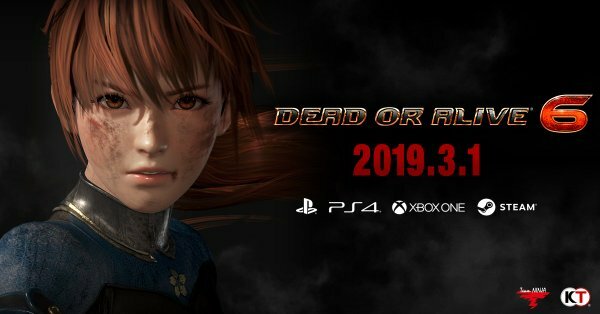 KOEI TECMO and Team NINJA have announced the official launch of the PlayStation®4 DEAD OR ALIVE 6 Online Beta Test. The Online Beta will be exclusive to PS PLUS subscribers through the PlayStation Store, and will be playable from the 11th January 2019. The Beta will consist of Online Versus mode and will feature four iconic characters from DOA’s past, including Kasumi, Ayane, Hayate, and Hayabusa, as well as one of the most-anticipated newcomers to the roster, “The Uncrowned Street Hero” Diego. All fights will take place on the main stage of the DEAD OR ALIVE 6 tournament -- the DOA COLOSSEUM – complete with exploding ring ropes. For newcomers to the series, a “HOW TO PLAY” section has been added to the game’s official website, including both a Techniques tutorial and a Move List. In addition, an online survey will be available to gather player feedback. DEAD OR ALIVE 6 is currently in development for the PlayStation®4 Computer Entertainment System, the Xbox One family of devices including the Xbox One X, the all-in-one games and entertainment system from Microsoft, and digitally on Windows PC via Steam®, and will be released worldwide on the 1st March 2019. For the latest information on the game, please visit our official website at https://www.teamninja-studio.com/doa6/. Also, be sure to Like us on Facebook at www.facebook.com/DeadorAliveGame; and Follow us on Twitter @DOATEC_OFFICIAL. Humble Bundle has revealed a publishing lineup preview for 2019 that includes a CAT GAME!! !